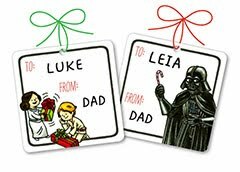 Chronicle Books made up a holiday poster and gift tags for Darth Vader and son that you can download from here. Meanwhile, yet another Kickstarter project to mention - this time an anthology that includes a ten page unpublished autobiographical story written specifically for this book about modern attitudes towards feminism, The Big Feminist BUT. ...and start watching the movie, streaming now on itunes and Amazon. Meanwhile, if you're in Albuquerque, you can come get me to sign something at Astrozombies tomorrow, November 10. On Kickstarter, you have until later tonight to get my incentive drawing half-off for Mail order Ninja. And finally, you can try and get a free copy of Darth Vader and son on Goodreads, where the book is a Goodreads Choice Awards nominee. 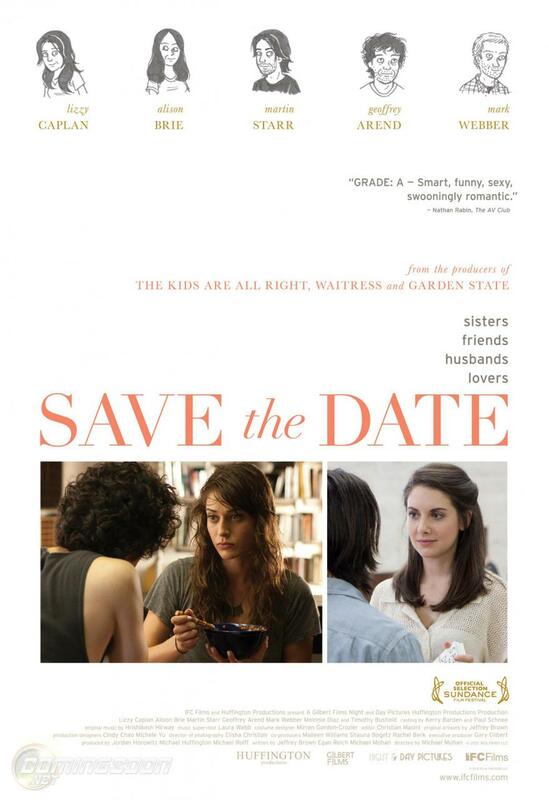 I just found out at San Diego Comic Con that Save The Date has a release date - November 16 will see a limited theatrical release for the film in New York and LA. It will also screen in Chicago and Austin after that, and IFC will have Video On Demand at some point too. Stay tuned to the Facebook page for updates. 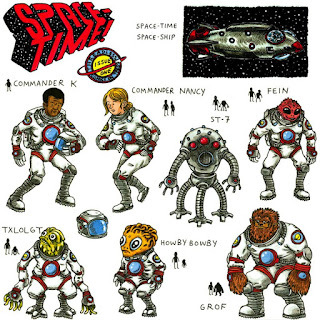 In the meantime, if you've got a record player you can listen to some of the music from the film on a 7" from The One AM Radio, which comes packaged with a booklet full of drawings from the movie as well. 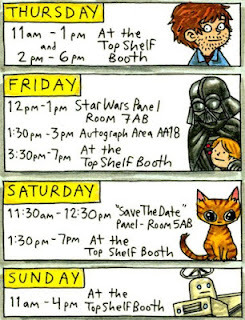 San Diego Comic-Con is this week and as usual I'll be spending most of my time signing at the Top Shelf booth (#1721). I'll have a small amount of artwork and hand-drawn trading cards for sale, and you'll be able to find more original art at the Scott Eder Gallery (booth #4515). 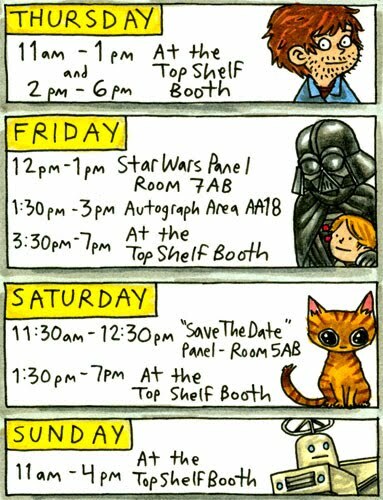 On Friday I'll be doing a Star Wars panel along with pop-up book author Matthew Reinhart, and Saturday morning I'll be doing a panel for Save The Date. Alison Brie, Lizzy Caplan and Martin Starr will be at the panel, and you'll be able to pick up a copy of my "Save The Movie" minicomic as well (you can also check the Top Shelf booth for the mini while supplies last). This weekend I'll be back at the always fun Heroescon in Charlotte. 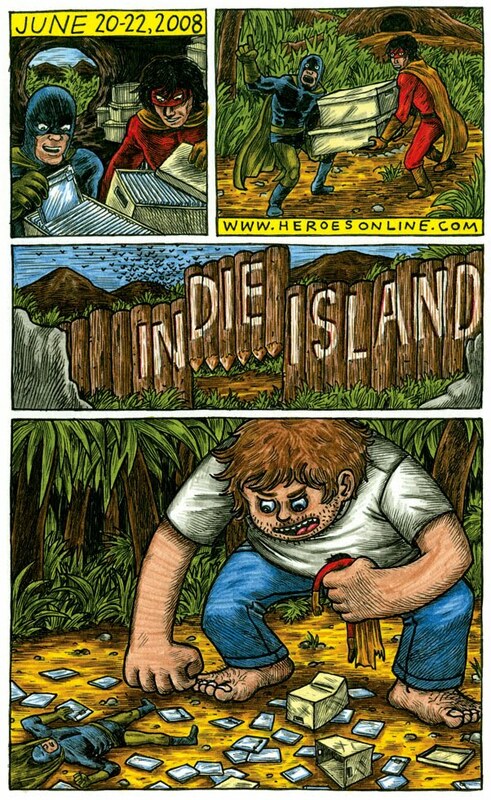 Here's a drawing I did a few years back for Heroescon's Indie Island. Oscar has started reading on his own, and I finally remembered to give him a copy of my new book. 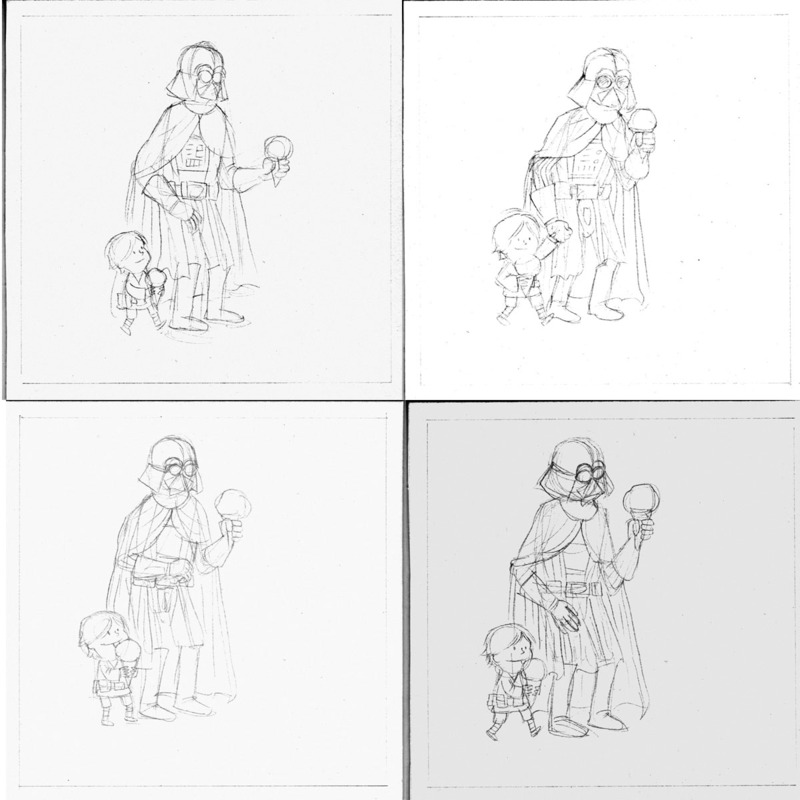 You can also see some of Oscar's drawings, and some of my own childhood Star Wars drawings, over on the Chronicle Books Blog. And if you're in Chicago this weekend, make sure to come check out CAKE, the Chicago Alternative Comics Expo. I'll be there both days, with a minicomic making talk on Sunday at noon. 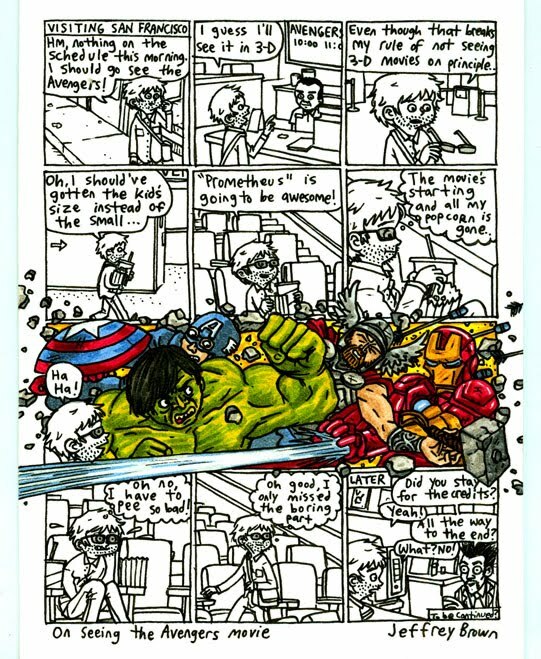 Daniel Kibblesmith won the commission I donated to 826CHI, and asked if I'd write a story about seeing the new Avengers movie. I met Daniel after appearing on The Late Live Show, where I made a joke about 3D movies and why I don't want to see them. I decided I should go see the Avengers in 3D, of course. It's going to be a busy summer for me, as I'm starting to work on three books, all very different and hopefully I'll be able to talk more about them soon. I'll also be doing a ton of travel to promote Darth Vader and son, including some San Francisco events next week. Check out the left side for updates on where I'll be when. As a result of all this busy-ness I'm going to take the summer off from commission drawings, except for a few I already committed too. Above is an unused version of a dinosaur tattoo I made, and another commission I'll be doing was auctioned off to support 826CHI. There's one more commission I'll do, and that one is part of the Reading With Pictures kickstarter campaign. If you miss out on the commission from me, though, you can also fund the RWP kickstarter and get a customized action figure made by my brother. May 4th is Star Wars day, and so of course there's some promotion for Darth Vader and son happening. 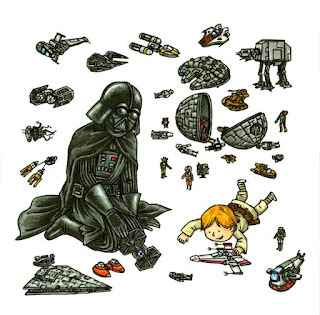 On starwars.com, you can download a wallpaper designed from the above drawing of Luke making Vader play with him, and over at threadless.com, you can watch a short interview about making the book. They won't be available until May, but I drew this postcard to support 826CHI, the non-profit writing and tutoring center. Each postcard features text written by one of the students who's participated in programs at 826CHI, which are then illustrated by various artists. When I was in elementary school I had the opportunity to attend a few writing workshops (including one where the guest speaker was author/artist Tomie dePaola. It had a big impact on me, and is part of why I write and draw books now. You'll be able to buy the postcards to support 826CHI soon, but if you're really ambitious (and in Chicago) you can pick up tickets to the upcoming People Eating & Giving fundraiser, or PEG. This week, the newest Threadless Comics-on tees went on sale, featuring a story I wrote about a fictional science-fiction property called Space-Time!. I drew the first shirt and managed to recruit Paul Hornschemeier, Jeff Lemire and Anders Nilsen to each draw one of the other shirts. 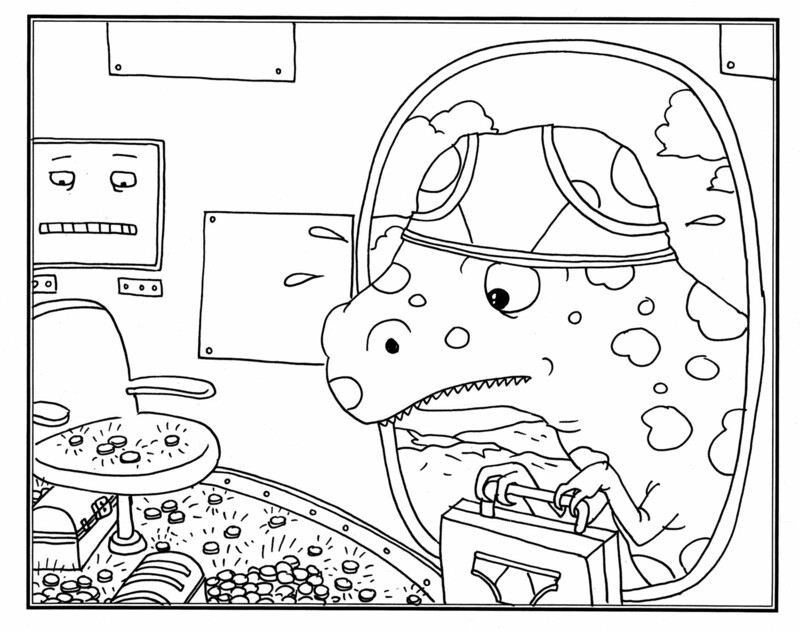 It's the first time I've scripted comics for someone else to draw, and they all made amazing work. Here's my initial character designs. After debuting at the Sundance Film Festival in January, Save The Date - the movie I co-wrote and created artwork for - has started playing at various film festivals, including tomorrow in Kansas City. 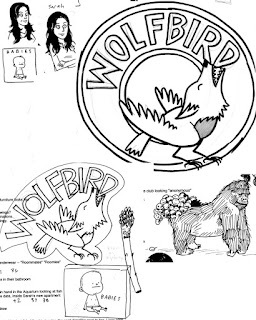 Here's some of the first sketches I made for the film. 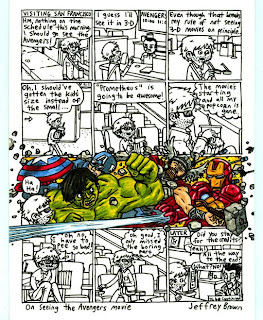 In my comics class a few weeks ago I gave an assignment where each student had to draw a comic with a few restrictions I gave specifically to each. At the end of the class I let them assign me restrictions to work under, and they gave me a few: no panels, aerial viewpoint, non-autobio, a sidekick/more than one character and the characters should have tiny heads and large hands. I started out not knowing what to do, but after French cartoonist Moebius passed away I decided I'd make my comic a tribute to him. 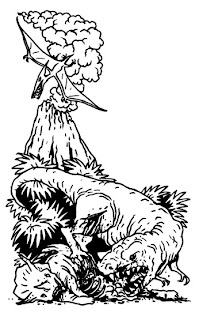 Moebius was and is a big inspiration for me, and I came up with a short story of two explorers encountering a strange lifeform that transforms them. 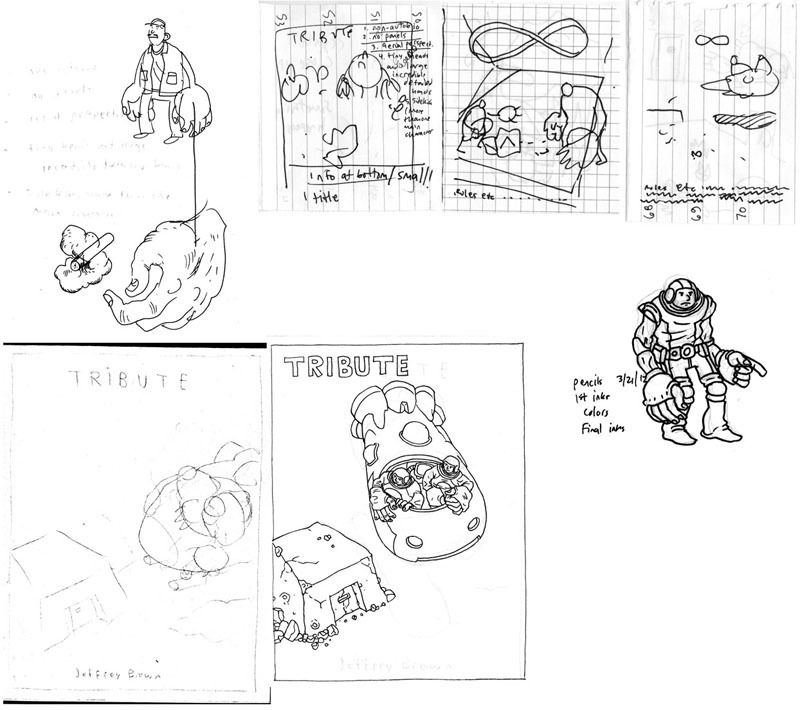 Here's sketches and abandoned inks for the first page. The whole comic is four pages long so I could print it up on a single 8.5"x11" sheet of paper. 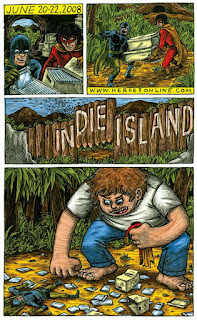 I eventually re-penciled it and drew the final comic in full color. 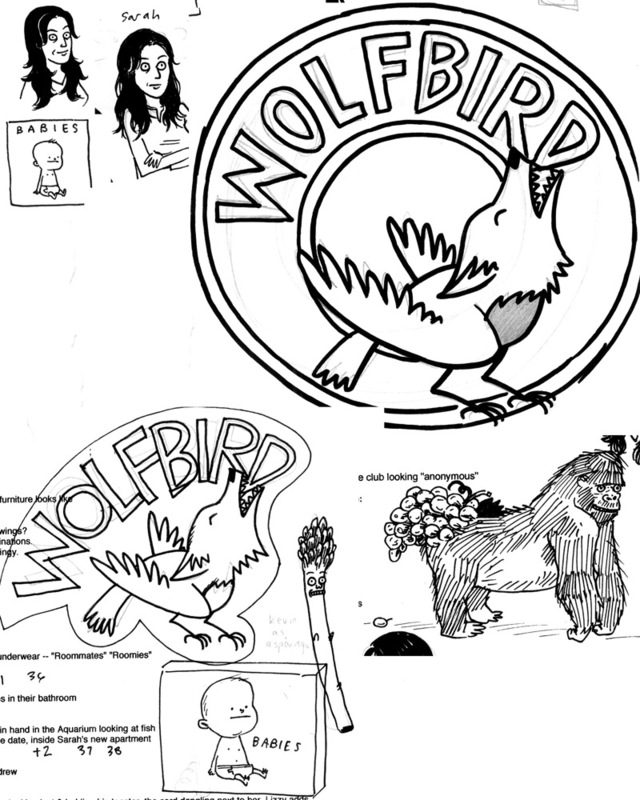 Also lately, although the book is basically finished, I've been working on the covers for A Matter Of Life. 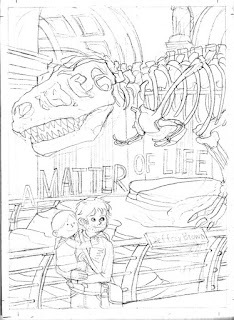 Here's the pencils to the front cover. You can see a little sneak peek to a couple of the pages in the online, PDF downloadable Rooms Magazine. 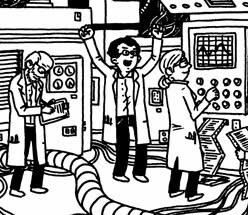 Last night (or, technically, really early this morning) I finished the last interior page of my next autobiographical book. There will still be corrections and technical work to be done before printing, and I also need to draw the covers. 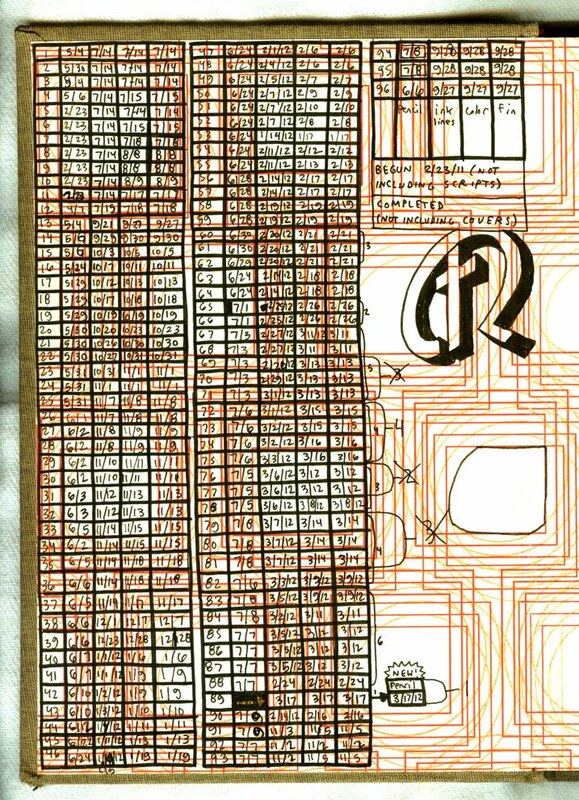 This chart (written inside the front cover of the sketchbook I drew this book in) displays the dates I finished each part of each page over the past year - pencils, line inks, colors. 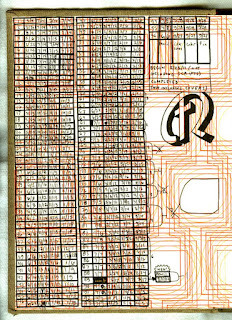 The chart also displays my OCD. I'm getting more and more used to teaching college students at The School of the Art Institute, but last Friday I got to try something new for me - working with second graders. 826CHI is the local chapter of 826 National, an organization that works with students age 6 to 18 to improve and inspire their writing. One activity is the Field Trip, where a class comes to 826CHI and writes a story together, guided by volunteers. While one volunteer leads as the storyteller, another acts as the illustrator, creating two drawings the students can see on an overhead projector. After writing a few pages together, students each write the next page of the story, which is then bound in a little book along with a blank page to add their own drawing. 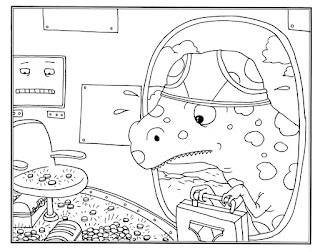 This is one of the drawings I made of Steven the Extraordinary Dinosaur, who likes to wear underwear on his head and sells chocolate and underwear door to door with his talking rocket Rocky. 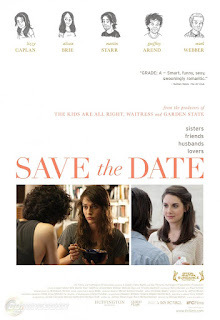 I'm home from the Sundance FIlm Festival, where Save The Date premiered to a largely positive response. Hopefully everyone else will be able to see the movie soon, but until then you can get ready for Darth Vader and son, which will be out in May and is currently available to pre-order in the Diamond Comics Catalogue (you can also ask your local comic shop to make sure and order you a copy). 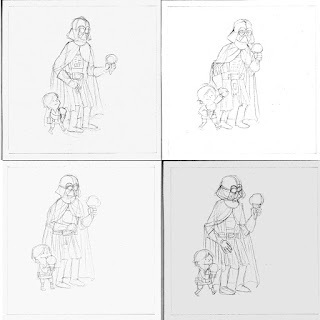 Here's some pencil sketches from the process of designing the book's cover - trying out slight variations of where Luke and Vader are looking, as well as their positioning. I think I drew about eight pencil versions in all, and fully inked and colored three or four of those. In the end, of course, we ended up using the first drawing I did. Darth Vader, Luke Skywalker and Star Wars are all TM/R/C/etc. Lucasfilm 2012.